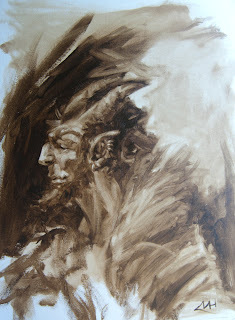 Wombat Revelry: things with horns. 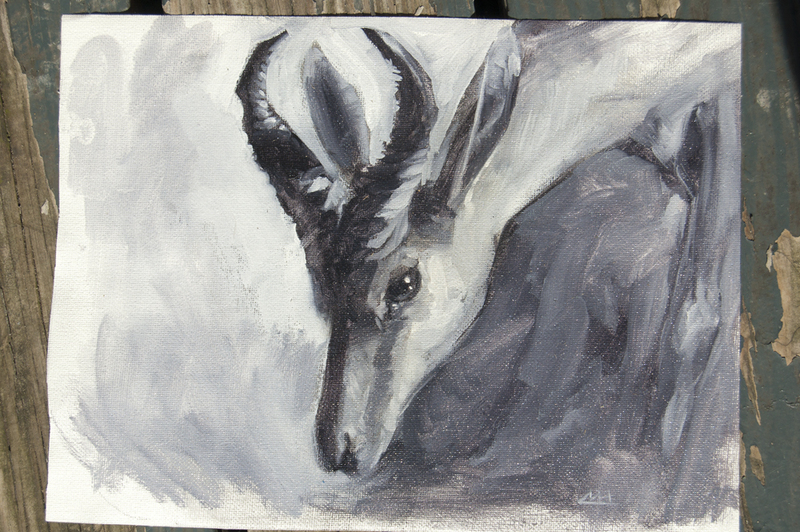 The gazelle was done as a demo for a painting lesson I was giving; oils, chromatic black and titanium white on canvas.. The Satyr was done for the love of it; oils, raw umber and a rag on canvas.